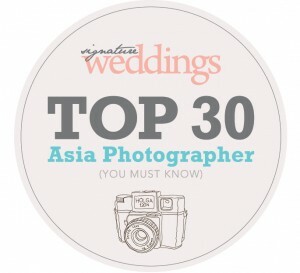 Great to receive the news that I am selected as Top 30 Asia Photographer (You Must Know) by Signature Wedding Jan 2012 issue ! Thank you Signature Wedding ! saras - I like your photograph. i would like to take pre-wedding photo. Im staying in puchong. Kinldy send me your quatation.